If you made it through the holiday season without buying a new smartphone (or getting one as a gift) you may be itching for an upgrade. And if you’re an Apple fan, go crazy – we probably won’t see a new iPhone until late-2018 anyway – but if you’re an Android user you should wait, at least until the Galaxy S9 arrives next month. Samsung confirmed last week that its next flagship phone will be unveiled in February. We didn’t get an exact date, but the company usually times the announcement to coincide with Mobile World Congress, an annual expo set for February 26 to March 1. So you can expect the Galaxy S9 to debut around then. An alleged retail box for the Galaxy S9 leaked on Reddit, revealing a long list of hardware included in the new phone. 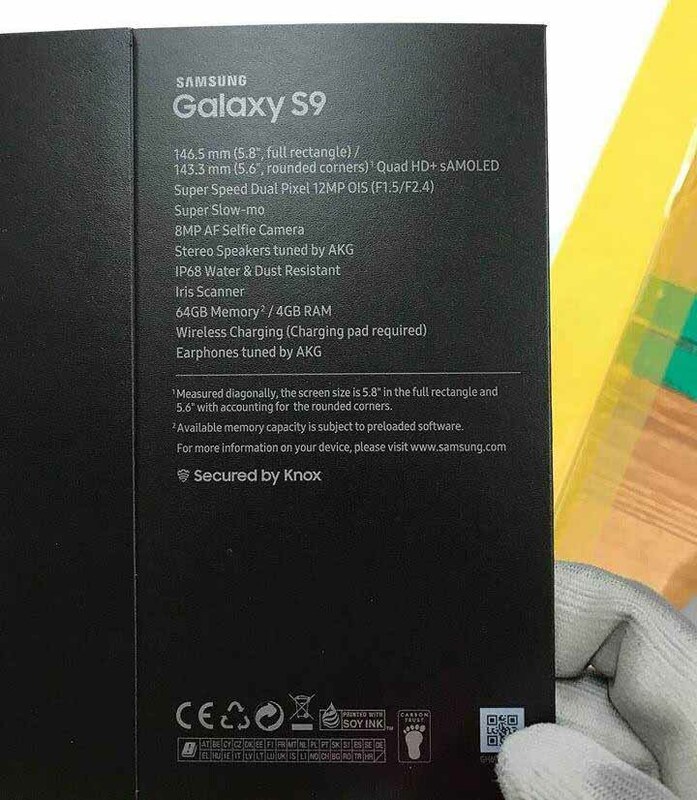 If the leak is to be believed (and it does look pretty official), the S9 won’t be a huge upgrade when it comes to specs. Expect the same 5.8-inch display, internal storage options (64GB), memory (4GB of RAM), special earbuds and water-resistant build. Another popular rumour is that the Galaxy S9 Plus could offer something called “dual aperture”. (Aperture refers to the size of the opening that light passes through.) Offering two different apertures at f/1.5 and f/2.4 (as listed on the leaked box) would make it possible to take in extra light in darker settings. In better lighting, the second aperture would offer a better depth of field, making it possible to keep more objects a wider range of distance in focus at the same time. The Galaxy S9 is expected to be revealed a day ahead of Mobile World Congress 2018, so check back with us to see if its a phone worth getting excited about.